Thrift Store #1 on the Treasure Coast Expanded to Suite next door and now has twice the floor space as before. We now have space to sell our donated furniture and appliances. So please visit our thrift store in Fort Pierce, Florida at 2303 N U.S. 1. 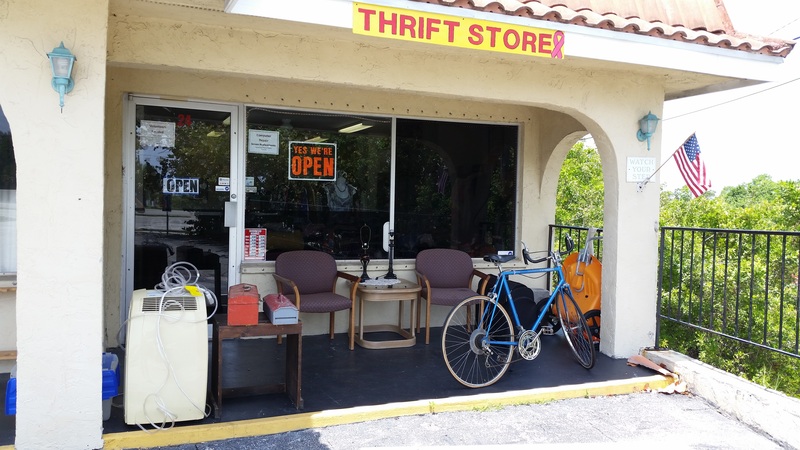 Follow us as we add more Thrift Stores in Florida and across the nation. All the proceeds from Pink Campaigns Thrift Stores and Boutiques support Project Free Mammograms nationwide. Pink Campaigns contributes to breast cancer research here and abroad to those who are vigorously seeking or are on the verge of finding a cure. We believe that early detection is a big factor in resolving the issue. Not only here in the U. S. but abroad through our sister organization AmerinRio, Inc. a registered 501 (c) 3 organization and international non-profit with offices in Rio de Janeiro. In conjunction with AmerinRio we offer seminars and awareness programs in Brazil and other Latin American countries. Copyright © 2019 Pink Campaigns, Inc.. All rights reserved.